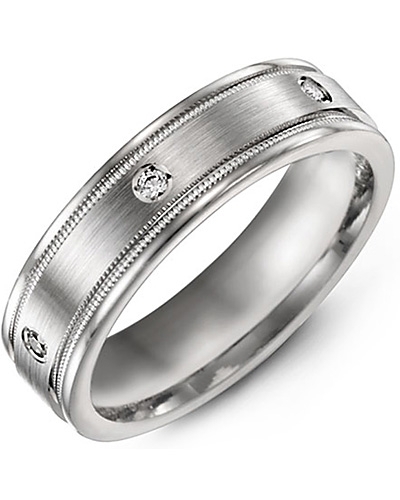 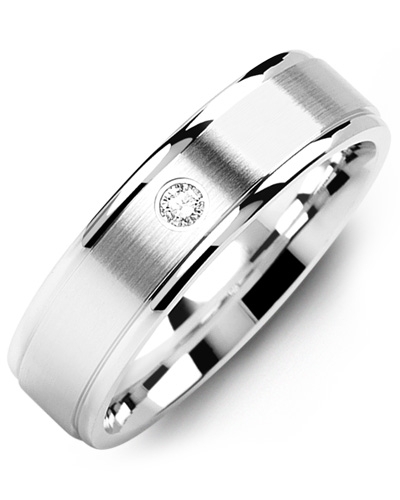 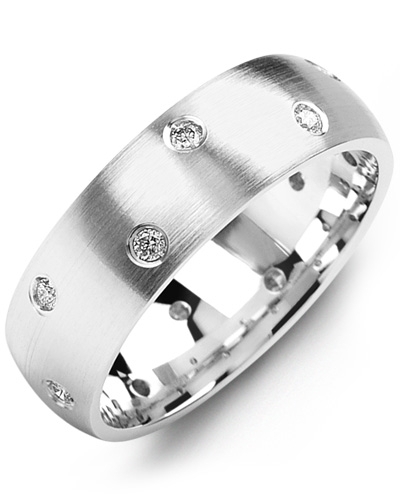 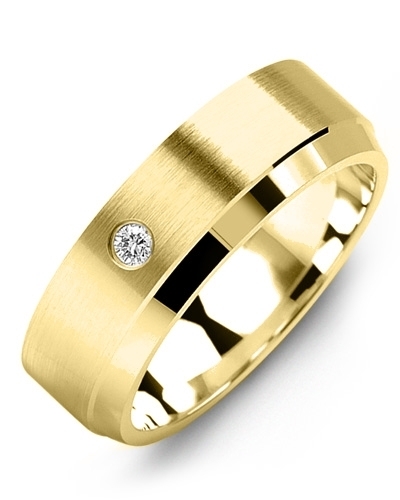 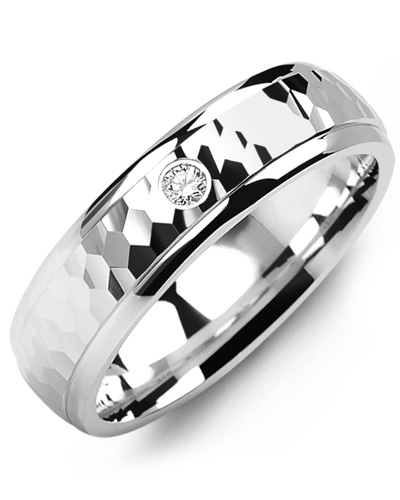 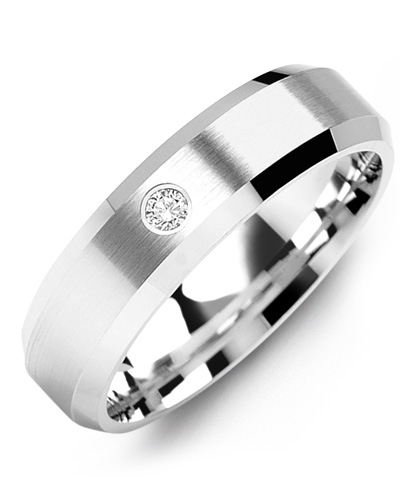 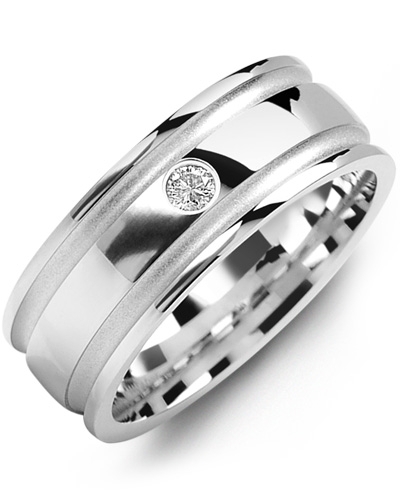 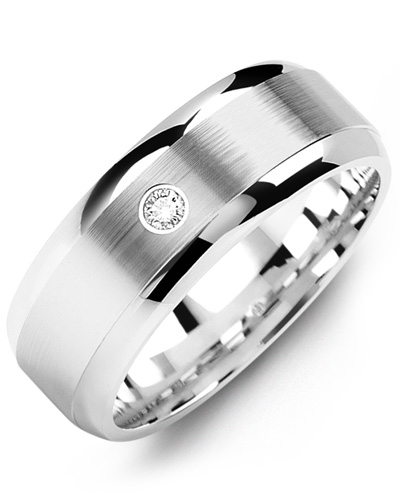 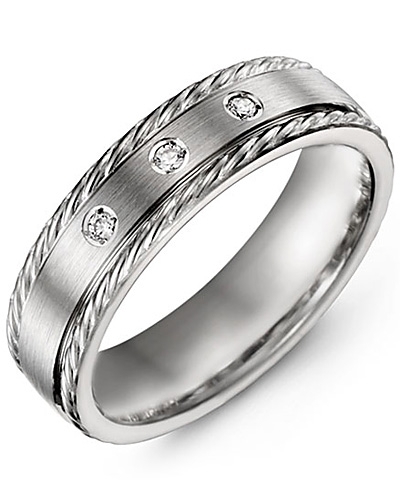 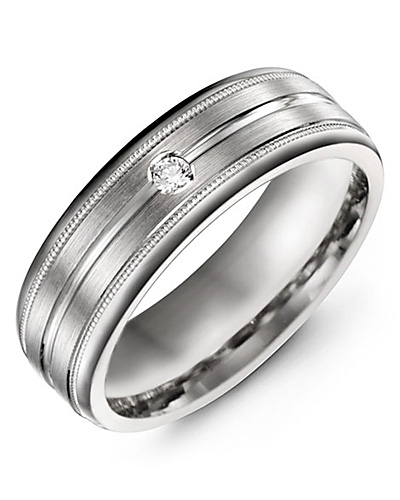 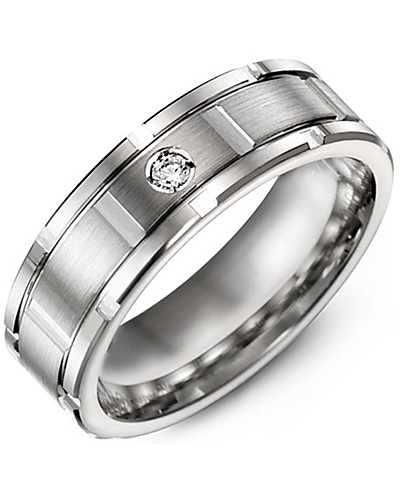 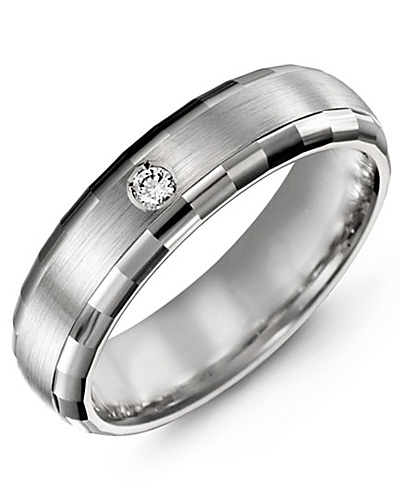 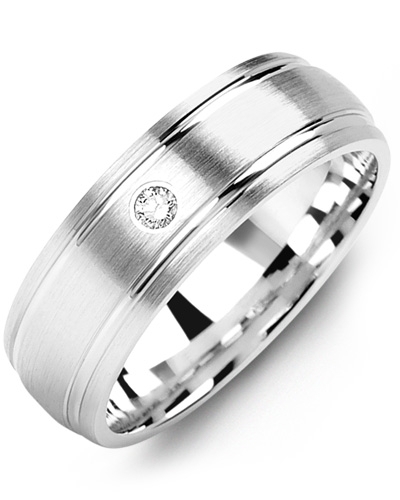 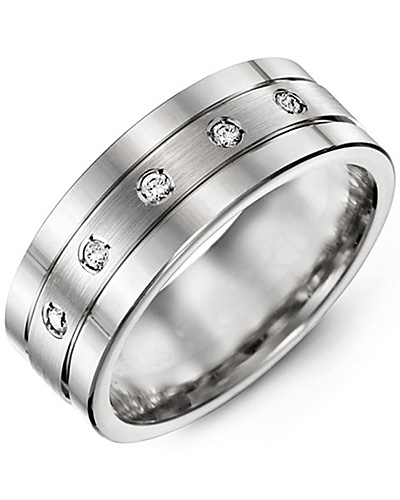 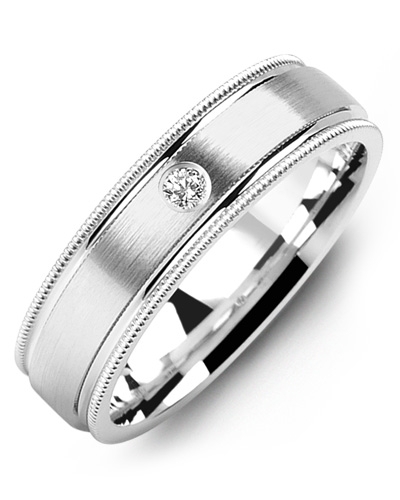 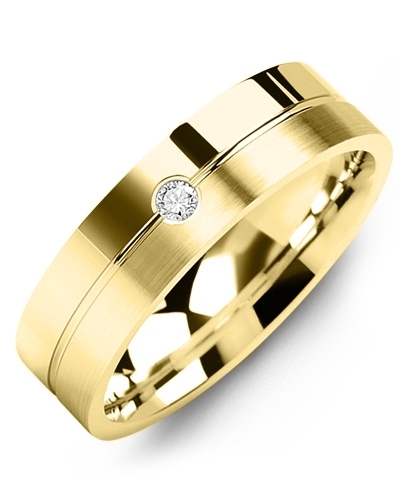 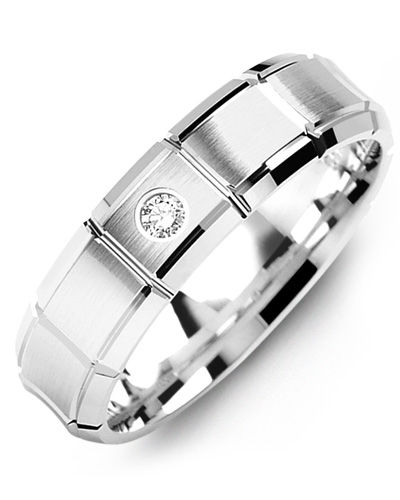 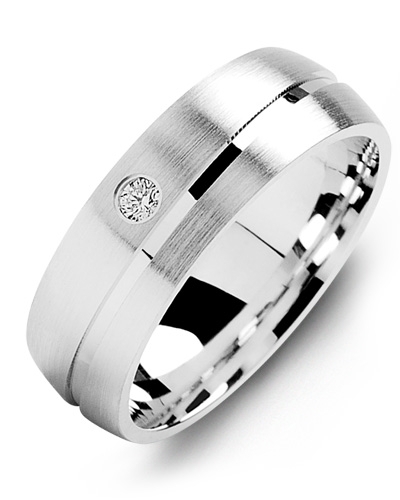 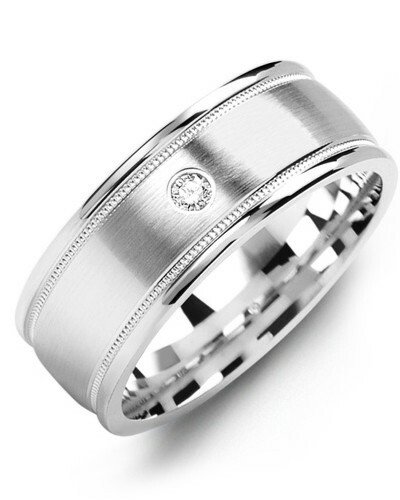 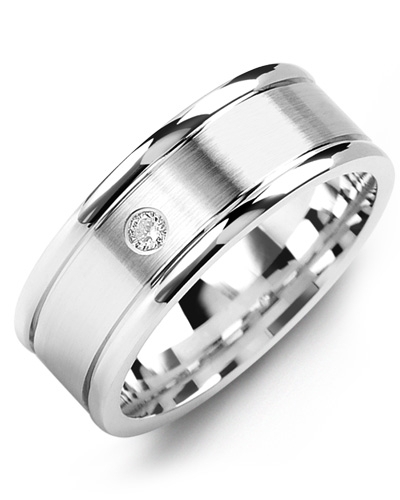 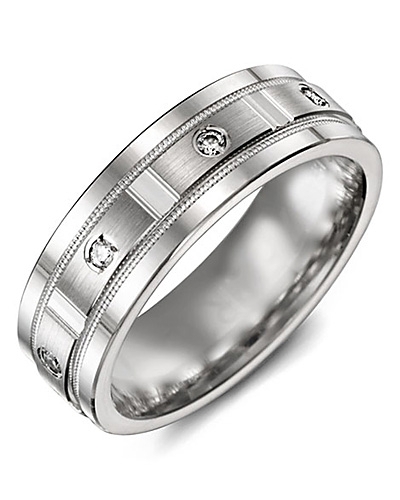 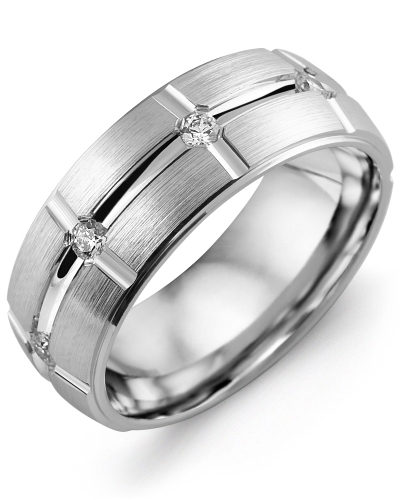 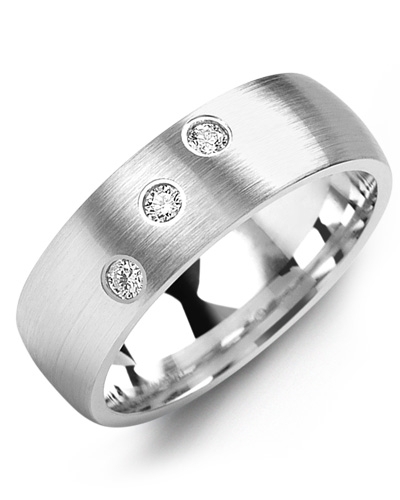 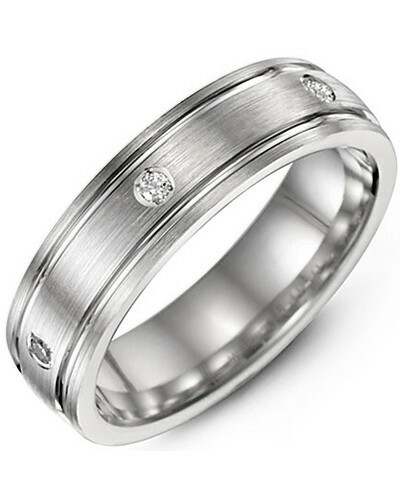 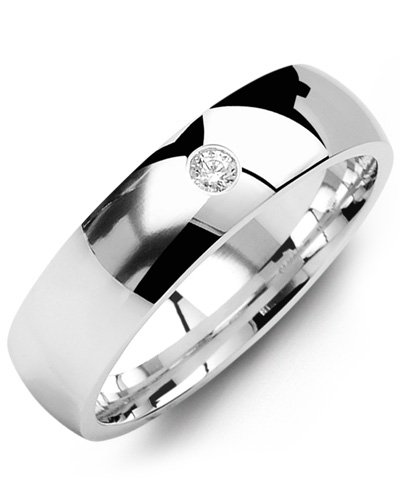 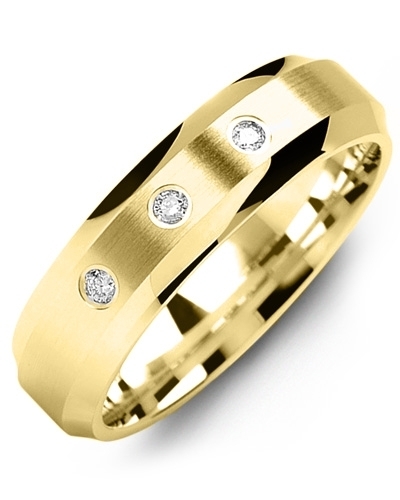 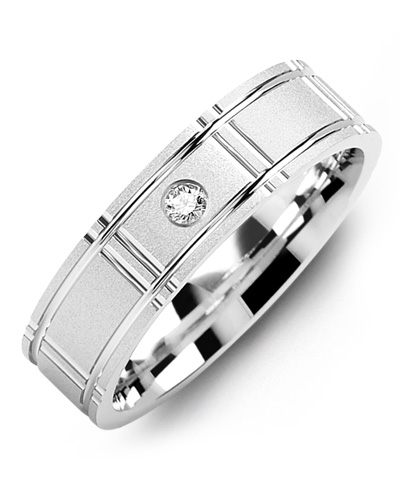 MRO - Sandblast Milgrain Gold Diamond Wedding Ring Dare to dazzle with this Sandblast Milgrain Gold Diamond Wedding Ring. 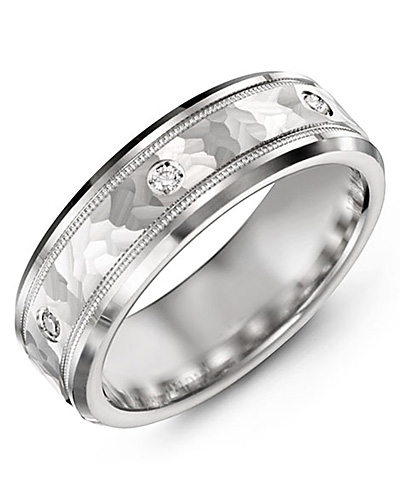 A stunning piece of jewellery for glamorous brides and grooms, it features a classic flat profile band with high polish edges, two rows of Milgrain beading, a gold insert with sandblast detailing, and a beautiful 0.05ct round gypsy set diamond that completes the design with just a hint of Madani’s signature sparkle. 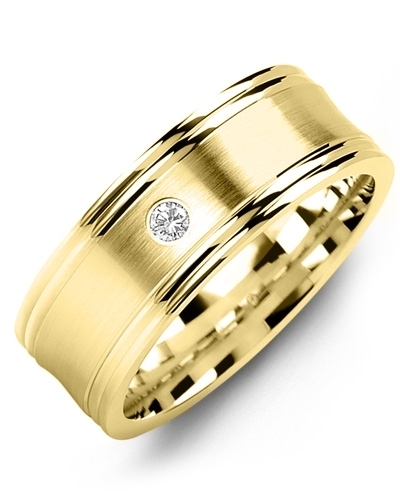 Yellow and white gold options available. 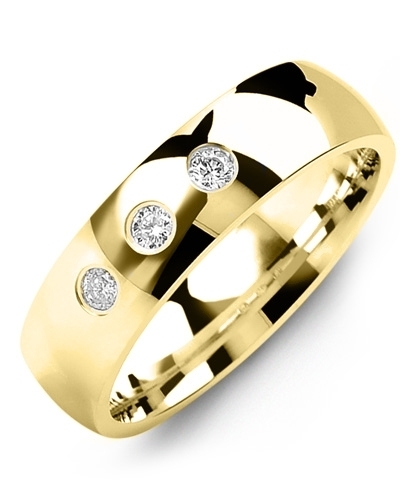 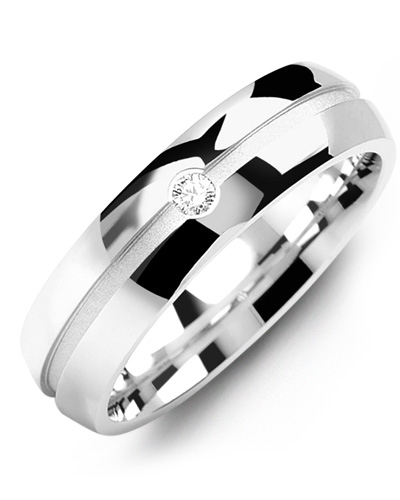 Dare to dazzle with this Sandblast Milgrain Gold Diamond Wedding Ring. 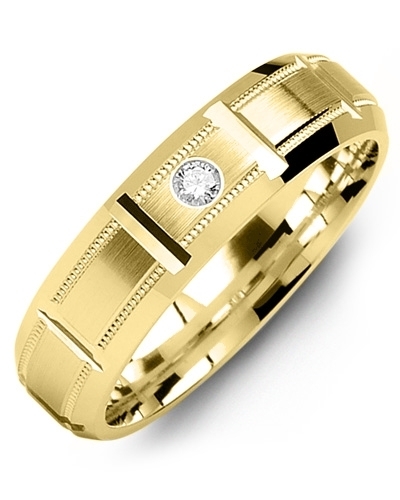 A stunning piece of jewellery for glamorous brides and grooms, it features a classic flat profile band with high polish edges, two rows of Milgrain beading, a gold insert with sandblast detailing, and a beautiful 0.05ct round gypsy set diamond that completes the design with just a hint of Madani’s signature sparkle. 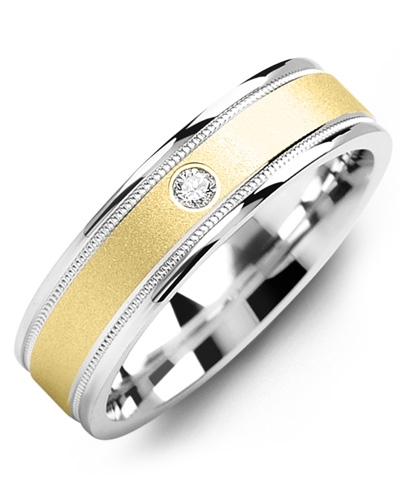 Yellow and white gold options available.